Football is back! There won't be a Sunday without football for a very, very long time - all is good in the world. Today we had our draft for the 20-team PPR league I do with my buddies every year and I'm really happy with the way things turned out for me. Decided not to draft a kicker or DST. With so many teams the waiver wire gets thin, so I wanted to grab as many potential impact players as possible while I could and then see how things shake out for them in camp/pre-season. I'll stream kickers and DSTs as the season goes. QB, 3 WR, 2 RB, TE, K, DST, 5 on the bench. Brady (6.17) - Potential top 5 QB at 117th pick. I'll deal w/ 4(?) game suspension. Loved that upside. Jordan Matthews (3.4) - WR1 upside/last year's Jeremy Maclin. Anquan Boldin (5.4) - Always undervalued. Stevie Johnson (9.4) - Rivers/team love him, they have a role for him in their offense. Word at camp is he looks really good & could have a big comeback year. CJ Spiller (4.17) - High-end RB2 upside in PPR at 77th pick. I think this pick could win me the league. Darren Sproles (7.4) - Should see more touches this year. Chip wants to feature him at slot, will be a mismatch problem. Travaris Cadet (14.17) I don't think NE signed him just to cut him, has a chance to fill the Shane Vereen void. Good pass catcher, decent pass blocker. My favorite deep sleeper in PPR leagues, worth a late round flyer. Good luck in your drafts everyone, happy fantasy season! Last edited by Kindoy; 08-17-2015 at 06:27 AM. I just got out of a draft and this guy with Redskins in his team name drafted 4th...of course you know what this douche did...rg3 in the first round. This caused Eddie lacy to fall to me.thanks dumbass. I never hold my draft til the last weekend of August at the earliest because of injuries. 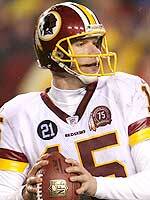 The only year that being a Skins homer in fantasy for me was 1999 and I basically got every Skin imaginable. I torched the league, won all of the trophies, etc. Being a homer with Skins players is toxic and has been for the past 10 years. Skins D might be worth a bench place this season, but who knows. i play with a bunch of skins and boyz fans, generally you see maybe a 1 round increase due to homerism, but rg3 in round 1 is just.... wow. i'm sure he'll quit updating his lineup by week 5.
Who says shameless self promotion is stupid? oh yeah, that was me... Click For Tunes! Any advice on how I should draft? You're in one right now, and last year. ^ and in that case, don't draft kelvin benjamin. Any grown man that uses the word "lolz" is not someone to be worried about. Having a hard time hating on Brady when all he does is score me points. Also, thank you Antonio for the garbage time TD. In my PPR league, had a shortage of RB's so I snagged D. Lewis as a flyer and played him last night as my RB2 (it was either him or Danny Woodhead). Yay! B/c scoring is .5 pt./reception and only 1 pt./25 yds, Lewis outscored DeAngelo. Well, that was a frustrating FF game. - 2nd highest points, I lose. - Despite 2nd highest points, suffer "biggest blowout" cause opponent outscored me by 40 pts. - My trio of Brees, Blount & Morris got me ~22 pts. while my bench of Brady, G. Bernard, & D. Lewis had 77.
i always have that problem where i start the wrong guys and leave a billion points on my bench. Same here. Although I'm currently 2-0 in one of my ESPN leagues and the Warpath League; and 1-1 in another league. I tried my hand at daily FF and it's been a disaster; but I'm improving a bit.